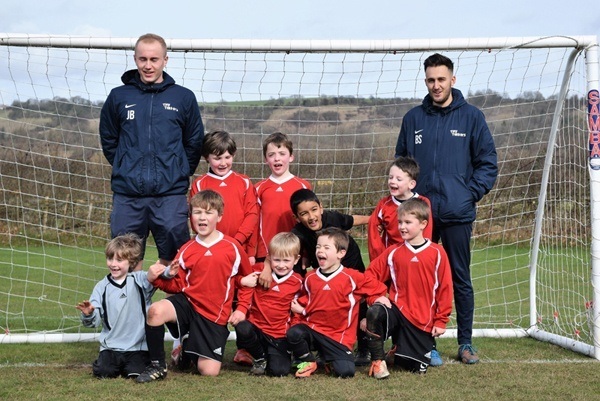 Last Saturday, a newly formed squad of 9 Copthorne Year 2’s arrived at the Hawthorns U7 tournament for an exciting morning of football. For some this was their first experience of a competitive match, let alone a large football festival with 12 teams in attendance. Things started brightly as we beat a strong Cumnor House (Purley) team 3-0 . A loss to Parkside followed by a no score draw didn’t dampen the morning as the boys retaliated with a 1-0 win over the hosts Hawthorns. A final draw in the group stage meant we were placed 3rd in the group, sending us to a 5th place play off. The tournament proved to be one of fine margins as 1 goal and 3 points would have earned us a place in the final! The 5th Place play off saw us face tough opponents Cranmore, and all looked bleak as the team were 2-0 down at the halfway stage. With only 5 minutes remaining of the very short 10-minute game, the boys fought tremendously to bring it back to 2-2, leaving both sides to call it an honorable draw and share the 5th spot. It doesn’t look like we’ll be playing Champions League football next year but one thing is for sure; the boys were champions in our eyes and did Copthorne Prep very proud indeed. Some excellent team and individual performances wrapped up with some truly splendid goals! Massive congratulations to the whole team!